The dragonspyre pirate: Pirate101 streaming, is it worth it and some tips! Pirate101 streaming, is it worth it and some tips! So, this post has been in the works for a long time. I've interviewed a few different Pirate101 streamers, and got some stats and tips from them. I asked Autumn (spiral vision) YerAPirate and RRRRZZZZ about some general stats, and some tips they can provide. 1. 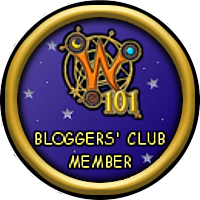 Spiral vision is run by Edward Lifegem and Autumn Dreamwalker, both official fansite owners. They stream Wizard101 and Pirate101 and most of the talking going on is conversations with the viewers. I've been watching since the start and while they have taken breaks they faithfully continue to stream each game. 2. YerAPirate streams not only Pirate101 and Wizard101 but some other games as well. Sadly i've only been able to watch a couple streams but he's already starting to make a name for himself from what I hear. YerAPirate not only interacts with his audience but provides a unique experience by providing the music himself! He occasionally sings and to be honest, i'm jealous of his ability lol. 3. RZ has been streaming Pirate101 for one year and recently hit his 100th episode! He not only streams Pirate101 but some other games unrelated to pirate101 as well. He does a mix of talking and talking to his viewers allowing for constant dialog. He's also prevalent in other places like the official Pirate101 message boards. The stats: I asked these 3 because they provide a mix of old streamers, new streamers and streamers in the middle. I noticed that while RZ and SpiralVision being around for awhile get around 10-15 views on average YerAPirate doesnt get that many (last I checked somewhere around 3-7) so going in the middle, 13 and 5 the average views per Pirate101 stream would be around 9. I couldn't get a number for followers and subscribers but since the Pirate101 streamer world is small I would imagine if you decide to stream Pirate101 you would get a decent amount of followers and subs. Spiral Visions tips: Have fun and be yourself, don't try and don't get caught up acting professional. Try to be your own person and don't act phony. YerAPirate's tips: Watching others and engaging in the community is CRUCIAL! You can meet a lot of new people and become friends with many more. The people you talk to sometimes see you online and are like, "Hey I didn't know they stream!" and click your page. Studying the demographics and promoting your work RESPONSIBLY is a great tool too. RZ's tips: Getting a sponsor helped him, being family friendly has helped and streaming 3 different games has helped grow his audience and has brought more people to Pirate101! Also listening to your followers suggestions and promoting a friendly accepting environment are things that have helped him become successful. My thoughts: From what I've seen Pirate101 streaming is a real small world, but the community is friendly and it isn't hard to get into. But the real question is, is it worth it? I think so! Sure its small right now, but over the past few weeks I've seen it grow, more Wizard101 streamers are starting to stream Pirate101 and that means more viewers for Pirate101 content. But other than stats and views, Pirate101 is a fun game that should be enjoyed. Right now (April 2019) is a prime time to start. I hope you think about streaming Pirate101! Cya in the spiral!